This entry was tagged Brazil, God, pictures, singer, Song, Sunday, world. Bookmark the permalink. 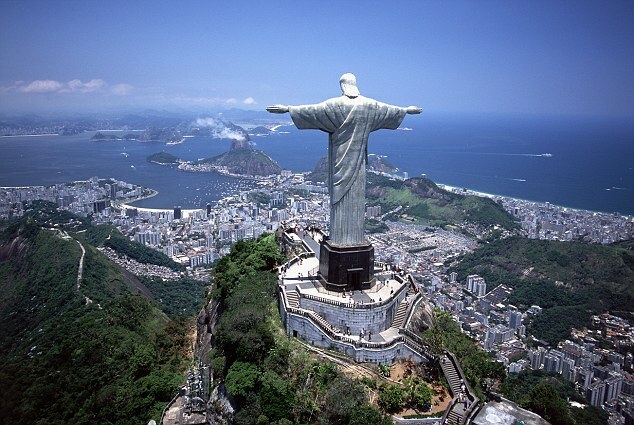 Fabulous shot of Cristo Redentor looking over Rio de Janeiro, Brazil. Isn’t it? Thanks for reading, Roger. I enjoy your short posts. My parents took me to Rio when I was one month old. Don’t remember it, of course. I sat on Corcovado beach in a picnic basket, lol. I am well, thank you, Roger, and hope you are also.